I'm a big fan of personalized items and have really been gravitating towards daintier, "everyday" jewelry that will pretty much never go out of style. It's always nice to have your go-to necklace or bracelet that you can throw on in a hurry and know that it will look great with everything. What's also great is when that go-to piece has a little meaning behind it. One of my favorite dainty go-to's is this perfectly delicate initial necklace. I love the barely there look and how it's perfect to layer with other pieces. BaubleBar is having an AMAZING sale on these personalized pieces. 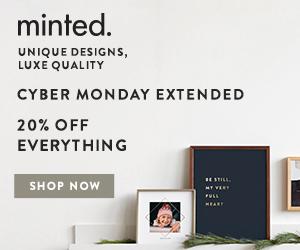 Right now, from November 11-13 you can get 30% off with code GETPERSONAl. If you're getting a head start on holiday these can make amazing gifts for your favorite people or perfect stocking stuffers. Make sure to check out their holiday shop, as well, and keep an eye out for coming posts for more holiday deals for the season!